The Detroit Lions have not confirmed it, but a league source said the team has placed linebacker Zack Follett on the injured reserve list today and he’ll be lost for the rest of the season. Follett, who suffered a concussion earlier in the season, was carted off the field in the game against the New York Giants after a helmet-to-helmet collision while covering a kickoff. 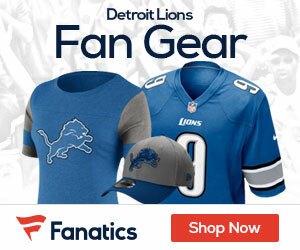 Detroit Lions head coach Jim Schwartz said the injury was unrelated to the concussion he had suffered earlier. “He’s going to see a (spine) specialist in the next couple of days,” Schwartz said on Tuesday. “I think we’ll have a much better idea then. We’ve got a pretty good idea now but we’ll gather as much information before we made a final determination of whether we’ll continue or shut it down.” The Lions will likely start either Landon Johnson, Ashlee Palmer or recently acquired Bobby Carpenter to fill Follett’s starting outside linebacker position. Carpenter, who was signed as a free agent a little more than a week ago, still needs to get up to speed on Detroit’s 4-3 defensive schemes.